Prepare to be whisked away to the Cornish seaside, where clear blue skies, crashing waves, and a welcoming choir await you. Annie Trebarwith has no family to tie her down, and she likes it that way. But when a letter arrives, unexpectedly inviting her to visit her great aunt Alice in her family’s ancestral home, curiosity gets the better of her and she travels to deepest Cornwall to meet the family she’s never known. Salt Bay is beautiful and Tregavara House imposing – but there’s no phone signal and some of the locals, like the gorgeous but brooding Josh, are incredibly grumpy. But Alice’s poor health compels Annie to stay, so to keep herself busy she relaunches the Salt Bay Choral Society. 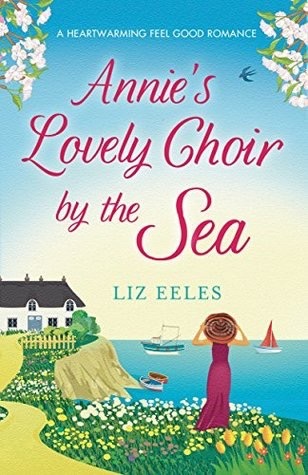 Annie’s Lovely Choir by the Sea is a heartwarming story about family, belonging and the healing power of music, perfect for fans of Alex Brown, Rachael Lucas and Carole Matthews. 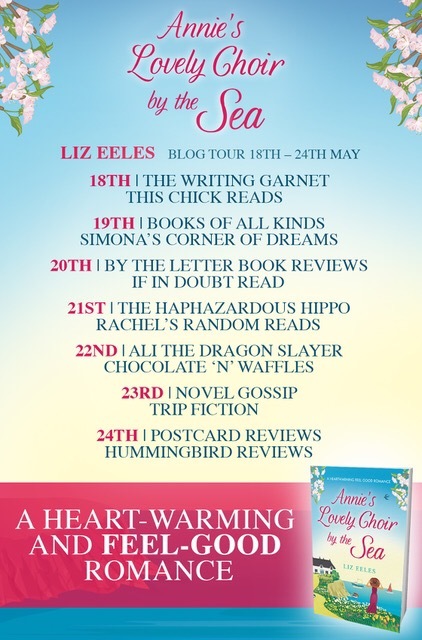 Welcome to my stop on the blog tour for Annie’s Lovely Choir by the Sea. Have you ever picked up a book at just exactly the right time, it’s like the stars align and everything just fits into place perfectly? That’s what happened when I picked up this splendid book, it was the breathe of fresh I needed at exactly the right moment and I absolutely fell in love. Annie was the type of character that I formed a bond with right away, she’s so well formed that it was very easy for me to imagine her leaping from the pages and entering my real life. Oh how I wish she would, I just adored her. She’s very closed off and likes to keep to herself as she doesn’t really believe in the idea of family. It was always just her and her mom and now that her mom has passed away, she’s perfectly content on her own and knows that forming deep bonds and meaningful relationships only leads to headaches and trouble. When she decides to go meet her aunt for the first time she really goes out of curiosity and expects that it’ll be a quick trip and then she’ll get back to her life in London. But she didn’t anticipate meeting an irresistible cast of colorful characters in Salt Bay. The characters were all absolutely engaging and lovable (with the exception of one) and I couldn’t possibly pick my favorite, I equally enjoyed all of them. Kayla is an Aussie barmaid with a wicked sense of humor and loads of charm. Josh is a moody hunk who tends to rub Annie the wrong way and she refers to him as a Cornish pirate which while hilarious, conjures up quite an alluring image. Alice is her aunt and was a dear, sweet woman and the residents of Salt Bay were all highly eccentric and wholly entertaining. There were some surprises as far as the plot line is concerned as there was a secret family history that comes to light as well as enough warm moments to leave me feeling cozy and content. Despite the title the choir isn’t the sole focus, rather it’s more about Annie and how her ideas about family and life in general shift and of course there is a cute romance. It was a totally outstanding debut that made me giggle and maybe even tear up a few times, I highly recommend this book for anyone looking for a super fun, light read. Thanks to Bookouture for my review copy. 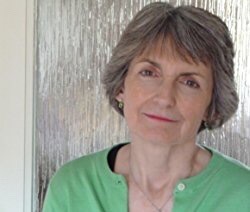 Liz began her writing career as a journalist for newspapers and magazines before moving into the health sector as a communications manager and press officer. The low point of her career was abandoning an interview with Cliff Richard after two questions because she was about to faint – her excuse is that she was newly pregnant at the time. Liz is from Gloucestershire but now lives by the sea in West Sussex with her husband and grown-up daughter. She spends a lot of time meaning to meditate, avoiding exercise, and missing her son who lives in London.